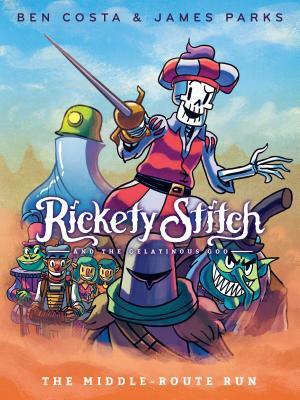 Rickety Stitch and the Gelatinous Goo Book 2: The Middle-Route Run (Hardcover) | Copperfield’s Books Inc.
James Parks is a speculative fiction writer and graphic novelist living in the Bay Area. James was weaned on monster flicks, ghostbusting, lightsaber duels, samurai cinema, and comics--with a sober dose of Victorian literature and '80s cartoons. James is also the author of the southern gothic horror collection The Gospel of Bucky Dennis, was a staff writer for Campfire Graphic Novels, and is a member of the Horror Writers Association.